@fluffypillow Is it possible to have higher res art someday without Pegasus slowing down a crawl or is that just a pi limitation? I'm using a pi3b+. 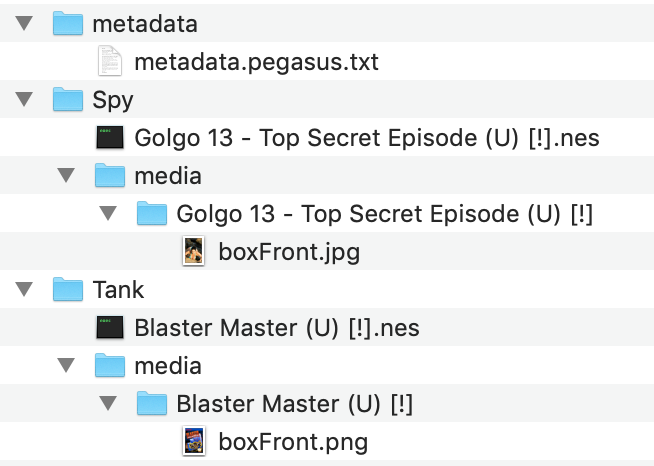 I like the concept of putting the metadata files in a single spot so I have set up all my metadata files under the <config>\metafiles directory and all is working fine for pulling in metadata and launching games. The only odd bit I noticed was when I have my setup configured with these global metadata files, the artwork is not found unless I also have the game folders specified in the game_dirs config file. Should the latest builds now be checking the directory that is specified in the metadata file(s) for the presence of a media directory? Or is it required to still include the rom folders in the game_dir file as well for that to happen? I tested with today's build from the site, so I believe I am up to date with current changes. @Darksavior that depends on the video ram of the device: the larger the images are, the more they take up, and the less space there is the more often the textures have to be loaded ans swapped around in the vram. where metadata.pegasus.txt has collections with the directory set to 'Spy' and 'Tank' (related: issue #407). 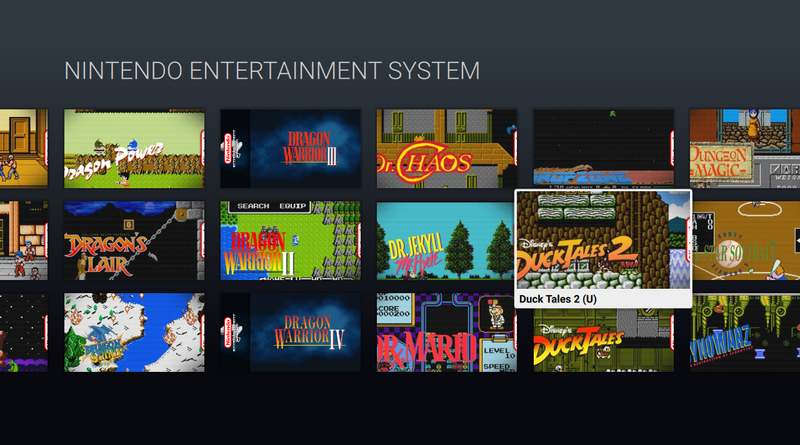 @fluffypillow will you add a option to show favorites on a single tab as system like? or is it already possible to do it? @Meldrak it could be possible for themes to do that, but there's no plan for that in the built-in one at the moment. I did confirm if I flipped it to the structure in your screenshot where each game has a folder with images it does detect the artwork, but it doesn't pick up the images when they are grouped by artwork type in the directory structure above. Is it possible to support both artwork configurations or does that add a ton of overhead to trying to determine what folder structure is being used for media assets? @msheehan79 yes, at the moment only the structure above is supported, but Skraper support could be added in the future too. Shouldn't be too difficult, just takes a bit of time. Talk about an impressive turnaround - just grabbed today's build and I see you have already added this support. Nice!! @fluffypillow did you ever test this on a 320x240 monitor? Over at Sudomod, many are building Gameboy builds running RetroPie. Given the benefits of running Pegasus instead of ES, it would be neat if the frontend could be optimized for small screens also, if possible..? Maybe without video preview and with bigger text, with no description or something similar? @AndersHP couldn't try it yet unfortunately, but Pegasus itself should work fine with that too. The main theme is indeed probably a bit much for this size, but a theme for small displays could be also made. At the moment I think the beach theme might look readable and light enough to use. @AndersHP I plan on making a 240p theme at some point as I'm also running pegasus on my new astro city arcade cab. @fluffypillow could tell me the Mac OS X folders root for ES: gamelist, metadata, roms? I tried different folders but the app still quiting because no games found. @spartan Pegasus will check ~/.emulationstation/ for ES' files, eg. ~/.emulationstation/es_systems.cfg and look for games in the paths listed there. When I use the online conversion tool to convert gamelist.xml to metadata.txt how do I save or download the text file? @jerzeeloon I've just added a download button to help with that. @fluffypillow Thanks . With the recent addition of multiple storage support on Android I'm able to add several more collections I had residing on a removable hard drive. Should save me time from copy and pasting for all the new metadata.txt I have to create. Your awesome and this frontend is becoming immaculate. Cross-datasource asset searching: It is now possible to store media files and Skraper assets in the game directories found by EmulationStation and the directories of Pegasus metadata files. EmulationStation: added support for excluding MAME bios and device files. Pegasus can now read mamebioses.xml (example) and mamedevices.xml (example) if they exist exist under ~/.emulationstation/resources/, and ignore the files on these lists for systems where <platform> isarcade or neogeo. Looks very clean - I like it! Enabling video previews and maybe having system logos in the top next to the headline, and you're there! @fluffypillow Hi Mátyás, great and awesome work!! PS: Sorry by my english.